Most real estate agents frame open houses as a key opportunity to sell your home — and only as a key opportunity to sell your home. That’s not necessarily true. Open houses can also serve as an important networking event for realtors, especially ones working in large cities, such as San Antonio. “Only 11% of homes are actually sold through these events, according to a National Association of Realtors study. Some agents like to have open houses simply to generate new business,” Woman’s Day reveals. San Antonio realtors are no exception. If you like your real estate agent and want to learn more about the selling and buying process, an open house can be mutually beneficial. Many Americans purchase property as an investment. It is crucial, then, to buy a home in top condition. Unfortunately, inspectors may not be as thorough as you’d like. “They’re only obligated to check for defects they can see –- i.e., no looking for leaky pipes, termites, and warped floor boards,” MSN Real Estate explains. When looking for homes for sale in San Antonio, team up with a real estate agent you can trust — and ask direct questions about termites, insulation, and other essentials inspectors may miss during a visual inspection. If you are purchasing property as an investment, the last thing you want to do is needlessly waste money. San Antonio real estate agents will work for lower fees, if you approach them in the right way. Offer to host an open house in a high-traffic area, or commit to buying and selling with the same agent for lower commission rates. 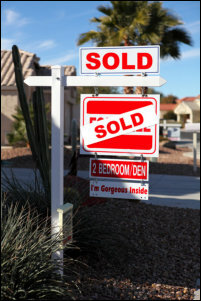 Selling or buying a home can be challenging, particularly in large cities like San Antonio. Carefully team up with a trusted real estate agent and host open houses for the right reasons.